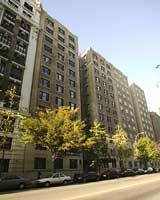 514 West 110th Street is a Building located in the Manhattan Valley neighborhood in Manhattan, NY. 514 West 110th Street was built in 1911 and has 12 stories and 49 units. Three (3) letters of reference, on official letterhead (two (2) personal and one (1) business. Letter from employer stating position, length of employment and annual salary, on official letterhead. If Self-Employed, a letter from your accountant verifying your income.